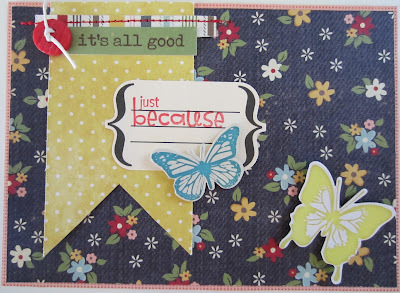 I just love the denim backed floral patterend paper from Simple Stories. 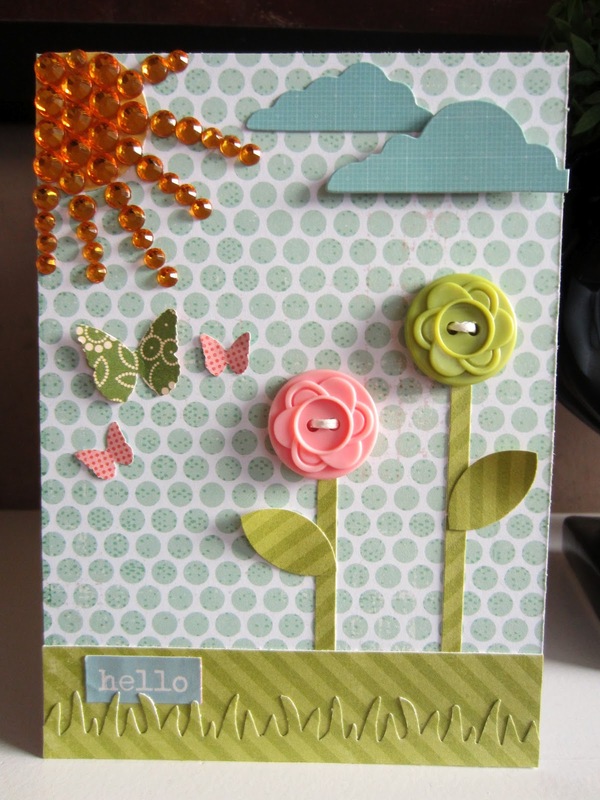 The flowers just looked like they needed butterflies floating around them, thus the design for my card began. I loved the the little 9 to 5 Doo-Dads from October Afternoon had two sides, so if you didn't want the type/sentiment on your card or layout, you could flip it over for the plain side to add your own sentiment. When I saw the Queen and Co. Rhinestones the first time, I thought that they would be great to make a sun with. 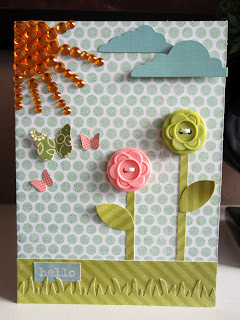 Pairing that idea with clouds, butterflies and the flower buttons made such a cute little card. 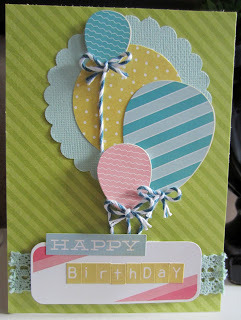 The balloons from the Studio Calico Ephemera Pack were just perfect for a simple Birthday card. This card kind of happened by accident. 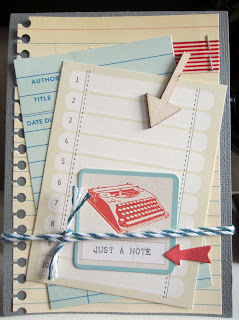 I knew that I wanted Just a Note in the space under the typewriter but didn't know what to do with it on a card. 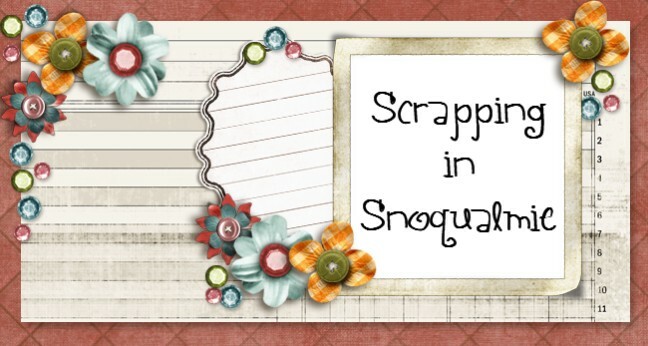 I had to clean off my workspace to work on another project and just put all of my July kit in a pile. 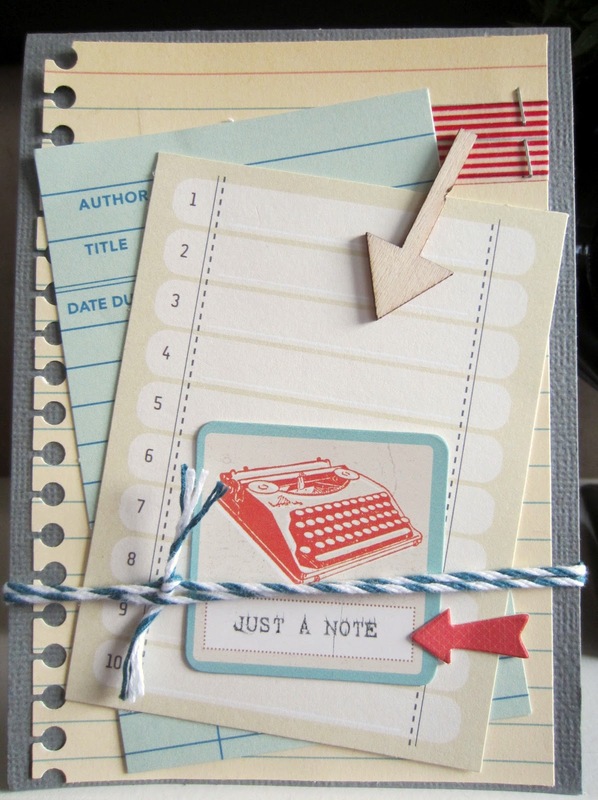 When I went back to this card several days later, these papers were stacked exactly like this and I thought it would make a cute card.